Militaria features in all of our bi-monthly two-day auctions, often opening the second day of selling. 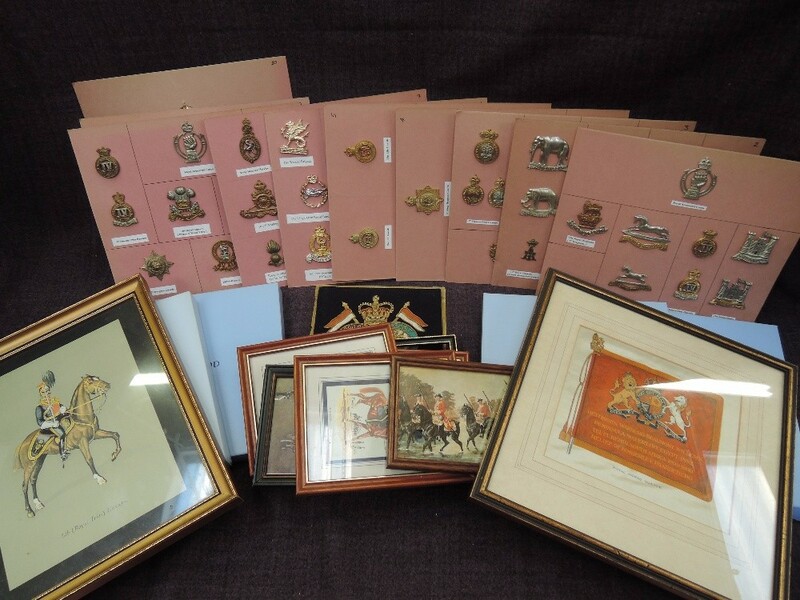 We also hold standalone specialist auctions of militaria when the volume and quality of stock is significant. 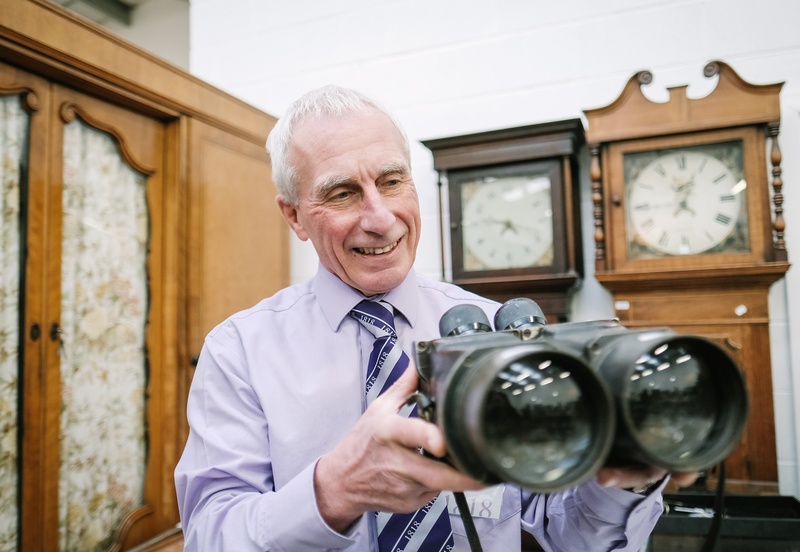 Heading up our militaria section is expert Valuer, Ken Payne, who brings years of acquired knowledge to the catalogue descriptions and estimates. A keen collector himself, Ken is the man to ask if you have any questions about buying or selling militaria. 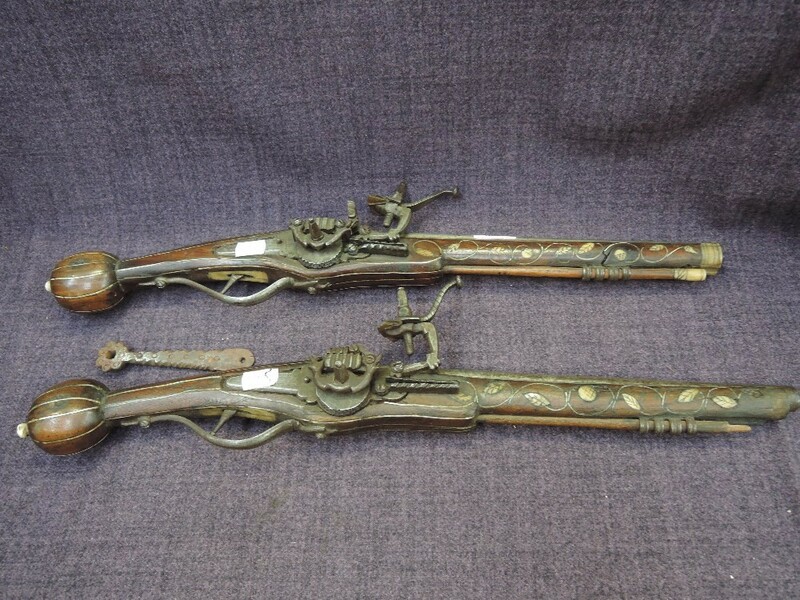 Recent auctions have seen top prices in the high hundreds, with highlights including a German Mauser bayonet, a German Luftwaffe Officer’s dagger with scabbard and hanger, a 17th century Lancers helmet badge, and a pair of 19th century Indian wheel lock pistols with mother of pearl inlay and ramrods. We also see quite a lot of militaria relating to our two most local regiments – the Lancashire Fusiliers (now the Royal Regiment of Fusiliers) and the Border Regiment (now the Duke of Lancaster’s Regiment) - particularly items of uniform. Perhaps the highlight of this section’s recent history though, was an unrivalled collection of military cap badges presented in seven handmade oak and glass display boxes. Totalling almost 250, the badges dated from the late 1880s; they charted not only the changes in military headgear (the badges get progressively smaller to suit the changing style of headgear) but also the history of our regiments. Ken picked out a few of his favourites – a County of London Cyclists badge, an early example of a Border Regiment badge, and a belt buckle from the Dumbartonshire Volunteer Rifles. Due to the size and quality of the two-day auctions in which our militaria section features, extended viewings are held on the preceding Friday afternoons between 1pm and 4pm and Saturday mornings between 10am and 2.30pm. You can also view on the mornings of the auction from 8.30am - before one of our auctioneers takes to the rostrum for the 10am start.